What a wonderful surprise to wake up to! 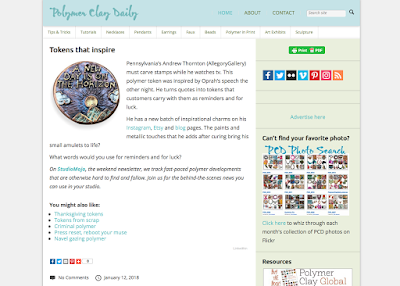 Thank you, Cynthia Tinapple for spotlighting my coin pendants and for all that you do for the polymer clay community! I appreciate the mention and all your hard work! CLICK HERE to take a gander at the article. What are some words that you hold dear as words of empowerment or encouragement? Are there any sentiments that you love and have a special meaning for you? On Sunday evening, the Golden Globes award ceremony aired. A highlight of the festivities included Oprah Winfrey receiving the Cecil B. DeMille award and giving a poignant and timely acceptance speech. Now... before I continue... if you're looking for an article about whether or not Oprah Winfrey should run for president in 2020, keep on scrolling. This is not about that. "In my career, what I've always tried my best to do, whether on television or through film, is to say something about how men and women really behave. To say how we experience shame, how we love, and how we rage, how we fail, how we retreat, persevere, and how we overcome. I've interviewed and portrayed people who have withstood some of the ugliest things life can throw at you, but the one quality all of them seem to share is an ability to maintain hope for a brighter morning, even during our darkest nights. So I want all the girls watching here and now to know that a new day is on the horizon... and, when that new day finally dawns, it will be because of a lot of magnificent women, many of whom are right here in this room tonight, and some pretty phenomenal men, fighting hard to make sure that they become the leaders who take us to the time when nobody every has to say Me Too again." I watched the speech several times, allowing the rhythm of her words and the cadence of her voice stink in. We live in a very exciting and scary time, a time when silenced voices are finally being heard. The conversations aren't always easy. Sometimes they're acutely difficult, rehashing some of the most traumatic experiences a person has carried with them. Some may argue with my usage of the word "exciting", but if you've ever been told to sit down and shut up, being able to finally speak your truth is very exciting. Allowing your voice to be heard is empowering and cathartic. If you're interested in acquiring one of these as a personal talisman for yourself or for someone you love, they will be added to the Allegory Gallery Etsy shop soon. So keep your eyes peeled for them to debut. 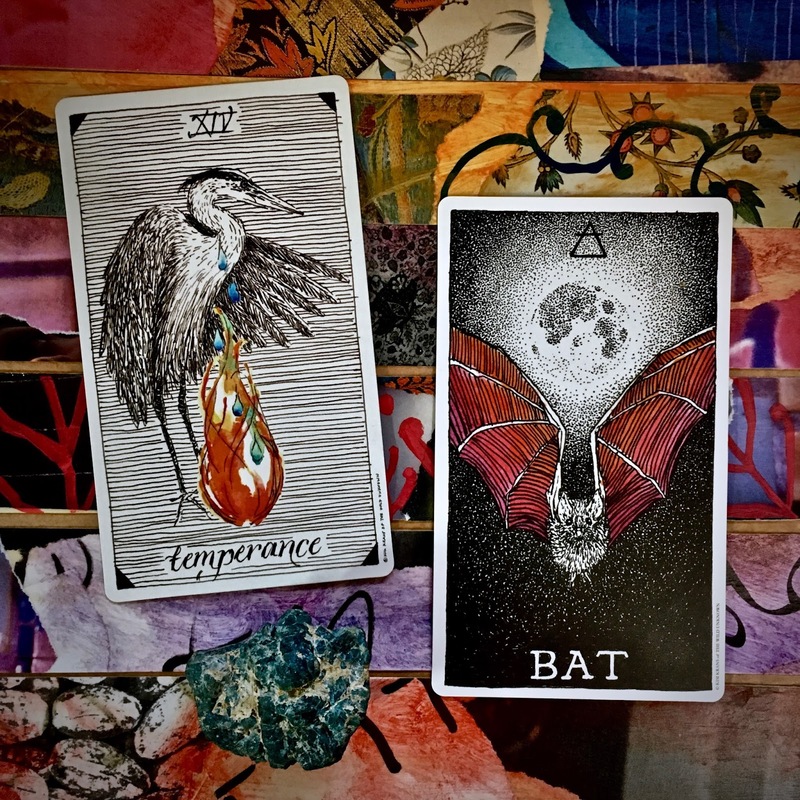 1/10: Temperance, The Wild Unknown Tarot. 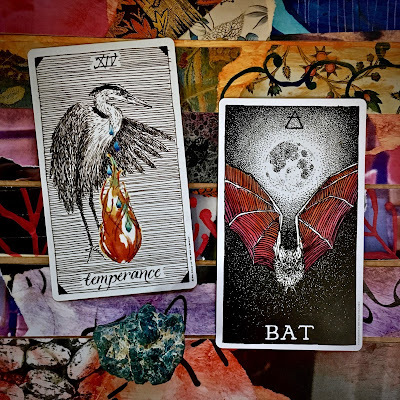 Bat The Wild Unknown Animal Spirit Deck. 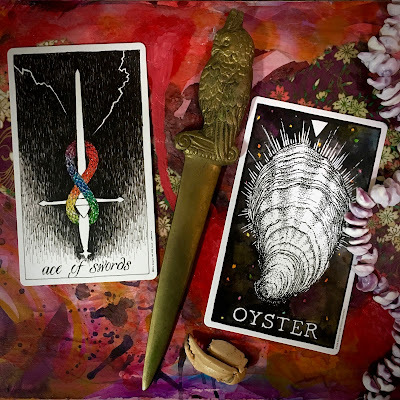 1/9: Three of Swords, The Wild Unknown Tarot. Bear, The Wild Unknown Animal Spirit Deck. 1/8: Five of Pentacles, The Wild Unknown Tarot. 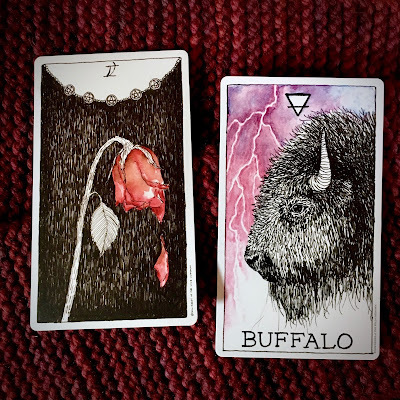 Buffalo, The Wild Unknown Animal Spirit Deck. Yesterday, over on Facebook, I teased that I had some good news! I had all kinds of guesses about what the news actually was. Lots of really interesting thoughts! 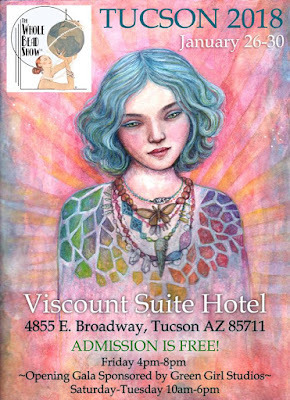 The actual good news is that I'll be going to Tucson for the annual gem and mineral shows! With all the house stuff, I didn't think I'd be going this year. With the rare exception, I've been going almost every year for over a decade. So it'll be nice to go back. I really like Tucson and think it's a great city! 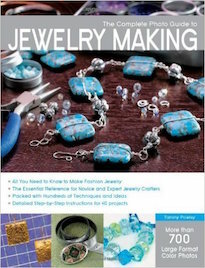 Plus it is made even better with the influx of some of my favorite jewelry-making people. So... where will I be? 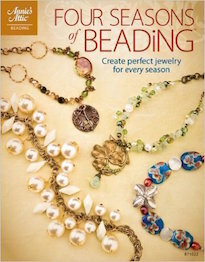 I'll be at the Whole Bead Show at the Viscount Suite Hotel. I'll be helping out at my family's booth. So, come see me and Cynthia at the Green Girl Studios booth! I'll have a few of my goodies available as well. If there's anything you want me to bring, make sure to let me know! I'll do my best to accommodate! The show looks like a really good line-up. 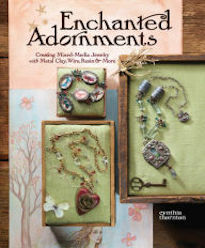 Carl Clasmeyer, Anne Gardanne, and Brenda Schweder are just a few of the artisans that will be represented. There will be bunch of other vendors, including Ava Motherwell and all her vintage treasures (and more). So make sure to come and see us! 1/7: Seven of Cups, The Wild Unknown Tarot. 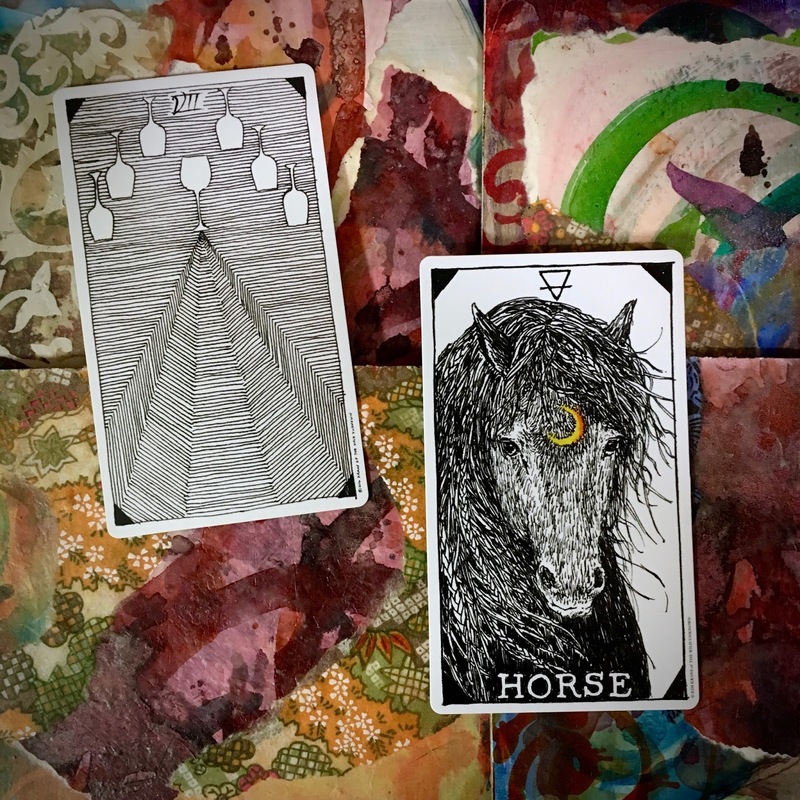 Horse, The Wild Unknown Animal Spirit Deck. 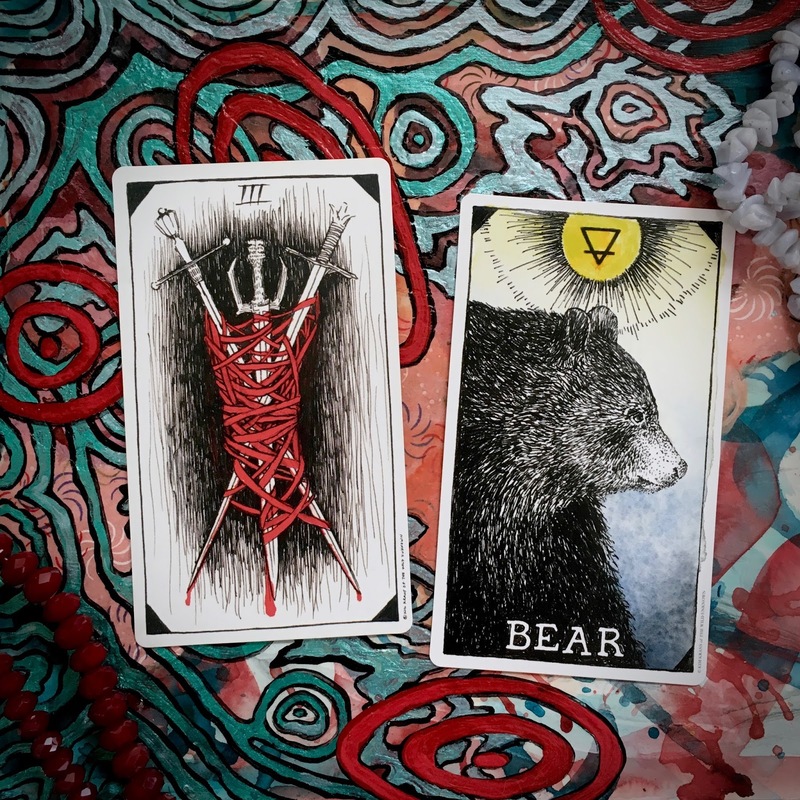 1/6: Five of Wands, The Wild Unknown Tarot. 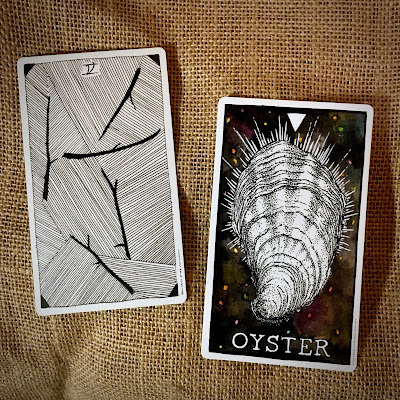 Oyster, The Wild Unknown Animal Spirit Deck. 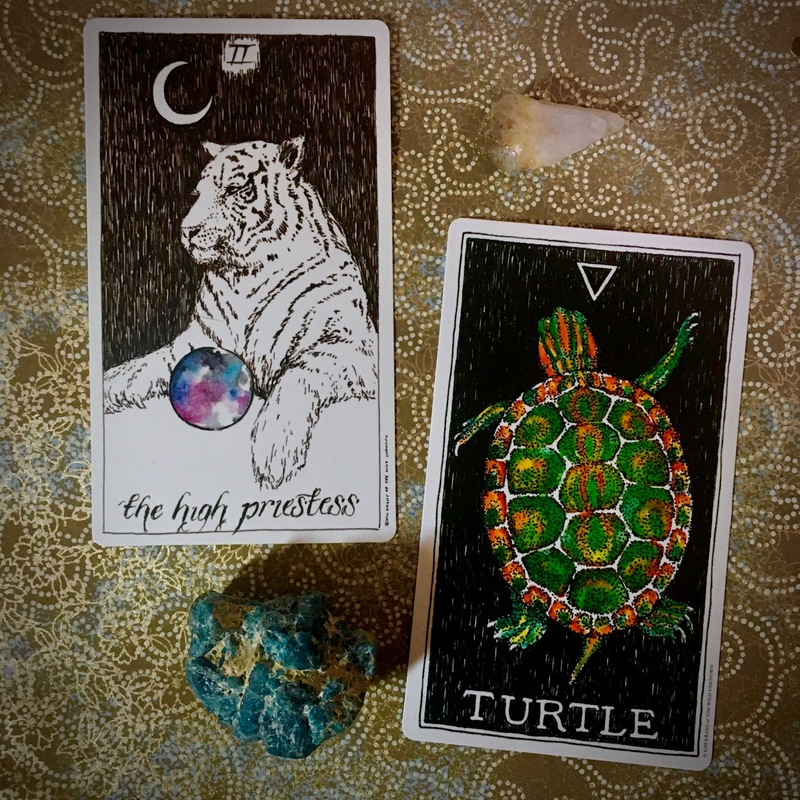 1/5: Seven of Pentacles, The Wild Unknown Tarot. 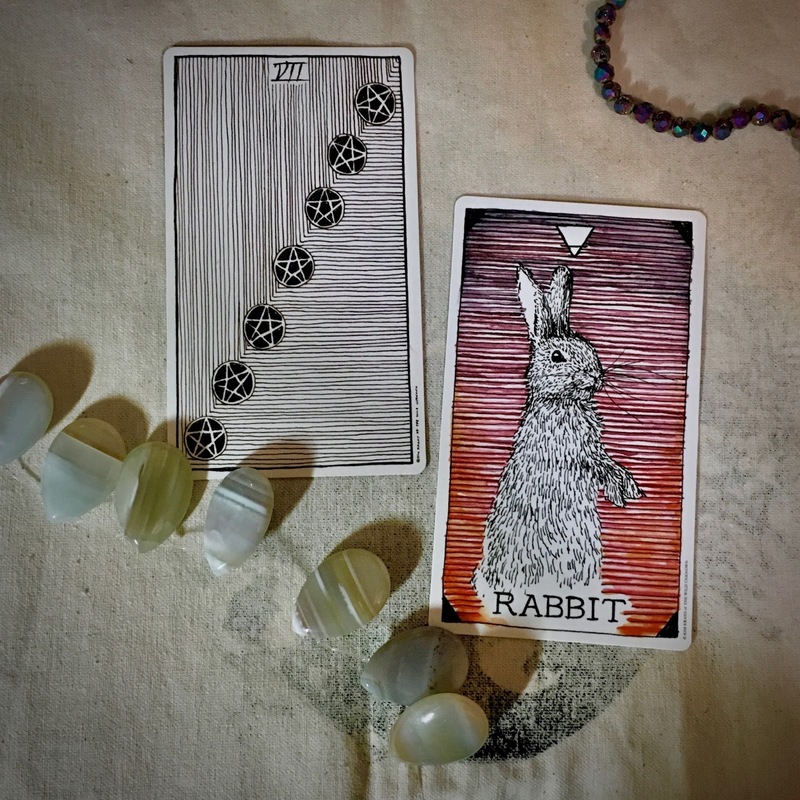 Rabbit, The Wild Unknown Animal Spirit Deck. The basics of physical survival rely on a need for shelter, food, drink, sleep, and air. When any of these needs aren't being met, our very own mortality comes into question. We know that it's more complicated than that, but at the core these primal necessities guide our actions and have profound impacts on how we live our lives. 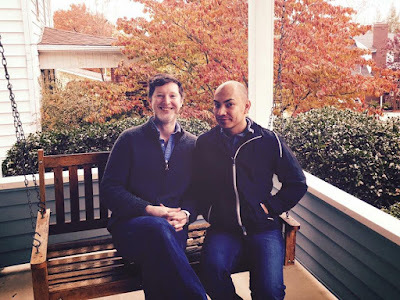 Just over two years ago, William and I set out to find a home of our own. To be honest, it's not something that I ever thought would happen for me. When I was younger, I lived a more transitory life and moved every year or so. The idea was appealing, but it didn't seem like a match for my lifestyle. Later, it just seemed impossible. I accumulated a huge student loan amount and that had long-reaching effects. When I was 18, I didn't know anything about debt to income ratios or credit scores or deferment. The words "principal" and "interest" had far different associations back then. But as our small business dreams grew and we set down roots in the community, homeownership seemed more possible with each passing day. After searching for awhile through the conventional means, we turned to... of all places... Facebook. We had just looked at a house, but it fell through because it was in a flood zone and the flood insurance was more than the mortgage. We were sort of desperate and had already mentally started the process of moving on from the place where we used to live. I put a post out on Facebook not knowing what to expect, if anything at all. Surprisingly, at least for me, I heard back about this house. The first time we saw it, we both loved it. It wasn't "perfect" or "fancy" but it felt like home. The people who had the house before us lived here for years. They raised a family and now their children have children. The house was cared for and loved and a place where those happy memories could be felt. While the house that we looked at before this one was nice, there were a lot of compromises... including a basement that flooded. This house had a better energy and felt more... right. And then things fell through. Because of the situation of the homeowner and our finances, we just couldn't make the numbers work out. It was disappointing. I saw myself with William swinging on the porch, talking and laughing. I saw us planting a garden and playing with Paulo and Babette on the stairs. When I dreamed, I dreamed of this house and I could see it so clearly in my heart and mind. When we couldn't make it work, we were crushed. But we were hopeful and kept looking. We were about to place a bid on another house, one that we didn't love, but could see the benefits of. And then we heard from the daughter of the homeowner. We had grown friendly over the course of us looking at the house and they wanted to make it work. So, we set up a lease to own option. Of course, this oversimplifies everything, but despite the highs and lows, we finally found a place called home. Two years passed in the blink of an eye. A few months ago, our contract ended and we began the process of officially purchasing the house. Much had changed since we first started looking, including William moving over to the store full-time and becoming fully self-employed. Being self-employed (and not being rich) and trying to buy a house is an exercise in endurance and torture. The amount of paperwork and back and forth between lenders, banks, lawyers, credit card companies, and everyone else is truly astounding. When I read articles about Millennials not buying houses nowadays, I can see why! It's not the easiest thing to do when you're an entrepreneur. We finally got everything to align. Many thanks to our financial people, our family, our friends, the family we are buying the house from, and everyone involved. To get to this point has required so much patience, fortitude, and good-will. We so very much appreciate everything and for enabling us to live our dream. The last step was an appraisal and home inspection. This is very nerve-racking for me. For one, I'm somewhat territorial. When I've created a nest, I only allow a few people into it. I also have this somewhat irrational fear of being judged. So an appraisal is sort of a double-whammy of anxiety. Strangers coming into your home who's sole job is to judge you and your house. Our small business spills over into our home a lot and that means that it isn't the tidy, neat, organized abode straight out of the magazine pages. It's not "dirty", so much as visually chaotic and cluttered. I know where everything is, but it doesn't look like anyone would. In addition to our everyday clutter, we have tackled a few DIY projects that we work on as time and money allow. Also, in my mind, the worst case scenarios play out... where they'll notice a hairline crack or a chip in the paint and everything will fall through again. I think that because I'm also gay and a minority, it adds even more pressure, because I'm always worried that they might not have worldviews that align with ours and they'll retaliate. I try to engage in positive thinking and manifesting the best outcome, but when one of the basic needs for survival is threatened, such as shelter, it can heighten the emotions and up the crazy factor by ten. I know that worrying doesn't make anything better, but it's easier said than done. For the past few weeks we've been cleaning, stressing, finishing projects, stressing, cleaning some more, stressing some more, and just sort of trying to maintain life all while internally freaking out. We got most of the major projects out of the way, including finally finishing painting the cabinet doors and hanging them. We have been without kitchen cabinet doors for the last two years. I have been up for two solid days cleaning until every muscle aches and my hands are bleeding from a combination of dry winter skin and cleaning chemicals. And while it might seem like I'm complaining, I'm happy to do it. I'm happy to do whatever is needed to make sure that everything works out. And... now... we... wait. We are hopeful that everything works out favorably and we can finally put this process behind us and finally enjoy living in our own home. We are ready. 1/4: Ace of Swords, The Wild Unknown Tarot. 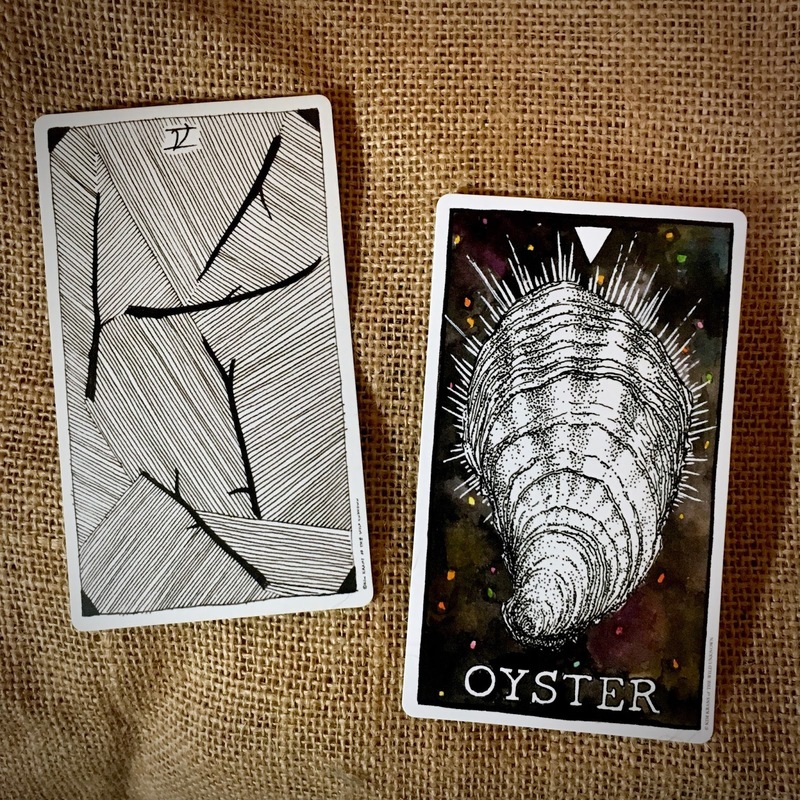 Oyster, The Wild Unknown Animal Spirit Deck. A few months ago, my friend Lennis of Windbent sent me a link to an article. The post was called, "Becoming Sovereign" and was created by the fine folks of One Willow Apothecaries. CLICK HERE to take a look at it. The words and images stuck with me. As the world descends into the depths of winter, we are called to look inward. The outside world, cold and uninviting, becomes a mirror that asks us to look deeper and to examine who we are and how we live our lives. Over the last year (and before that), I've been swept up in politics. Many of the things that I care about deeply have undergone attacks at the hands of the current administration. 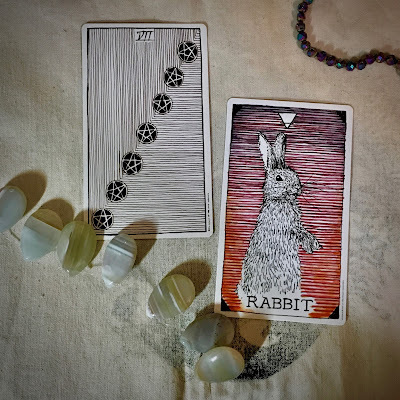 I am happy to agree to disagree, as we all have our own reasons and motivations for doing what we do... however, after daily threats to the things I love, there has been this psychological breach and it feels like I'm hemorrhaging all my energy. I feel tired and worldweary much of the time. I grieve for those without voices and am angered by the blatant hostility and derisiveness. I've grown to feel powerless. And as I sit in front of my window and look out on the cold landscape, I go inward. And I see that I've allowed outside influences to diminish my personal power. I've given control over to others and given permission to others to determine my mental wellbeing and emotional equilibrium. And that just doesn't sit right with me. So, I was moved to regain my personal power. To win back my clarity and focus and realign how I let the outside world impact me. Easier said than done! Basically I've had to do a lot of self-work on finding out where I want to go and how I want to get there. One of the ways, is to embrace my creative process again. When you make a living off of what you create, it's an easy pitfall to allow your physical needs to take priority over your mental, emotional, and spiritual. "I'm going to make what sells so that I can pay my bills." There's this sense of satisfaction when you're engaged in making, but it's a false sense of satisfaction if it isn't rooted into something deeper. So, I have been mindful to follow my muse and not get distracted. Again, easier said than done. 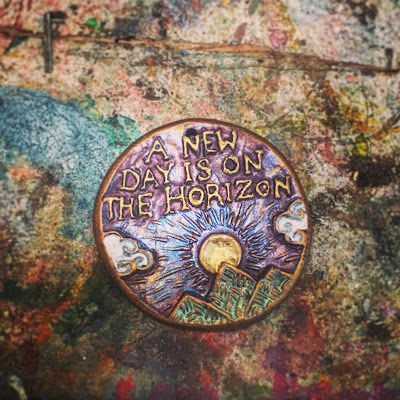 One of the things that I did to kind of embrace my thoughts and feelings was to create this polymer clay coin pendant. 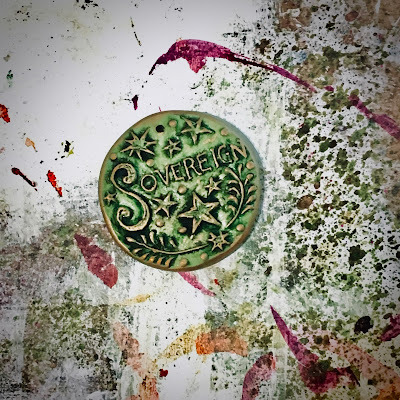 It says "sovereign" and pays homage to the original article. In all likelihoods, this will probably not be a best seller. It's an obscure enough word not to have that ready accessibility. It also has a lot of connections to monarchy and that isn't always a popular idea. Even so, I wanted to tap into something deeper and harken back to the original post – to regain personal power and follow your own heart and mind and not be subject to the whims of the outside world. These will eventually make their way to the Allegory Gallery Etsy shop and the brick-and-mortar. 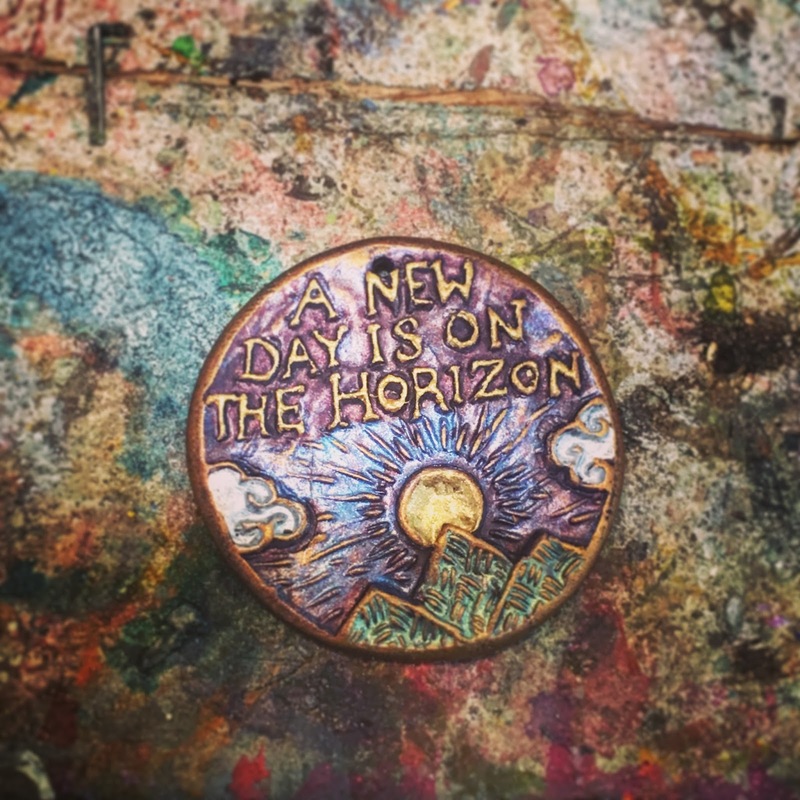 CLICK HERE to take a gander at our online shop and see some of the fun things we've got there, including some of my quote and word pendants! 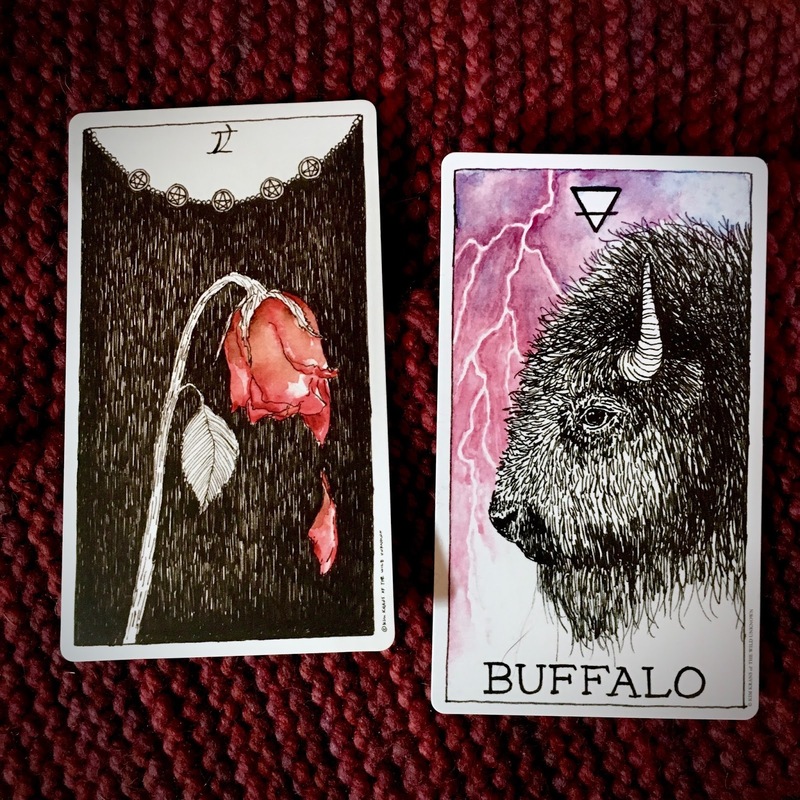 1/3: The Lovers, The Wild Unknown Tarot. 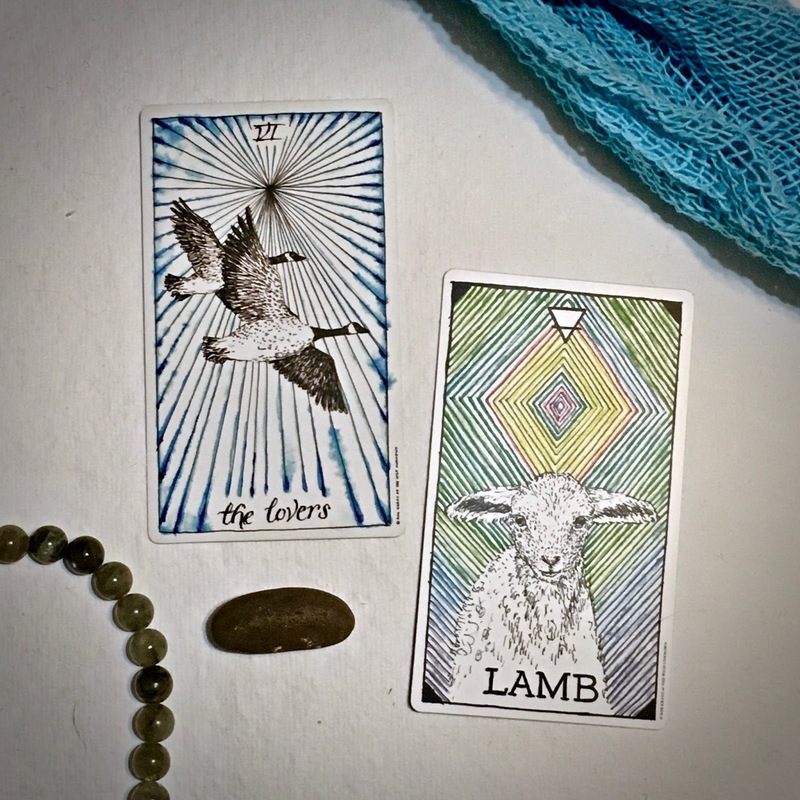 Lamb, The Wild Unknown Animal Spirit Deck. I adore Christi Friesen! She's so witty and creates such whimsical creations. Plus, she's just "good people". I've known her for several years and she's always been someone to encourage and uplift others. One of the ways that she does that is that she has a group called Christi's Creative Neighborhood. (CLICK HERE to check out the Facebook group.) She is one of the most generous artists that I know and is constantly giving away tips, tricks, and techniques. The Circle is where she goes one step further with paid content. 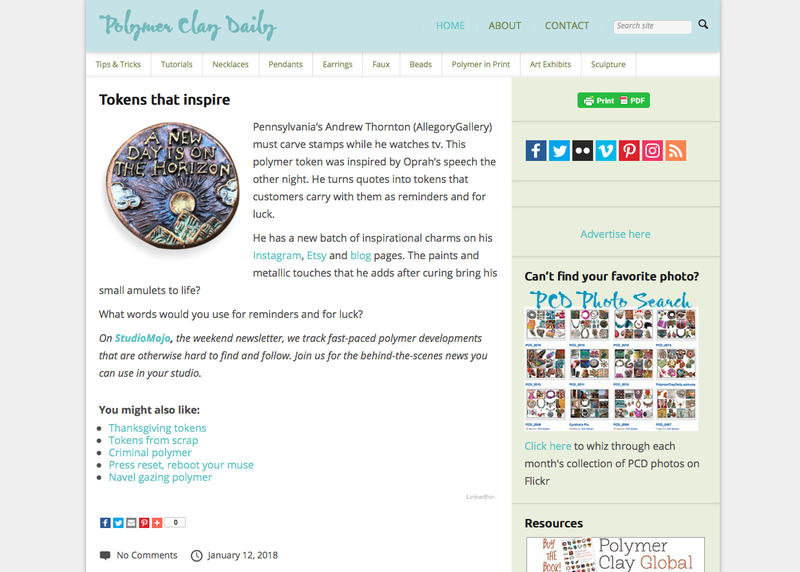 I was fortunate enough to be asked to participate as a guest artist contributor. 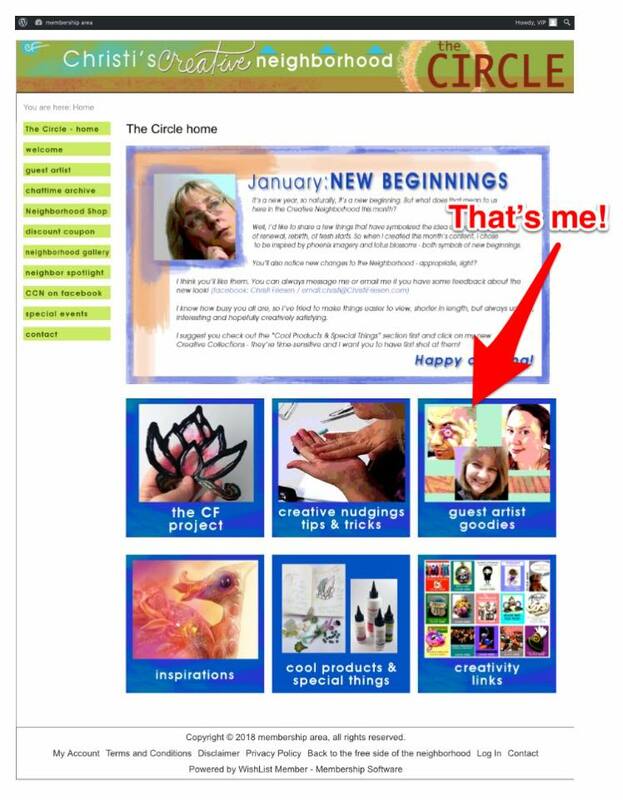 January's theme in the Creative Neighborhood is "New Beginnings". How apt! My contribution focuses on some of my philosophies as an artist and talks a little about some things you can do to keep your process fresh and inspiring and constantly moving forward. Hopefully participants will find it useful and motivational! 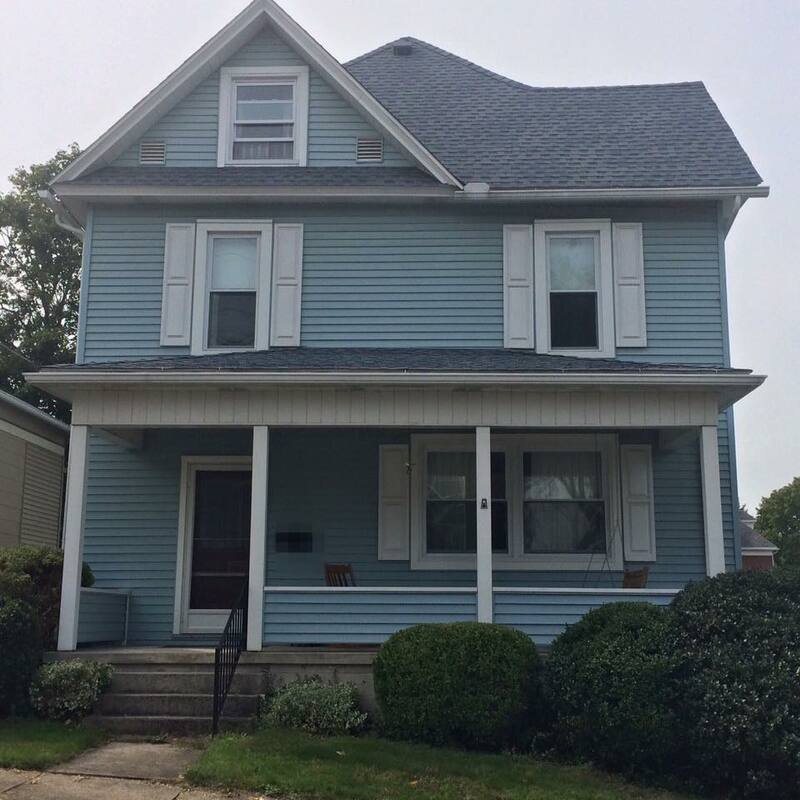 CLICK HERE to find out more about Christi's Creative Neighborhood. 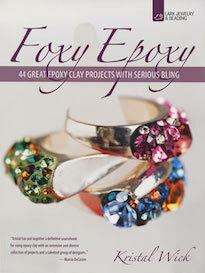 This bracelet has a surprising amount of shimmer and sparkle. 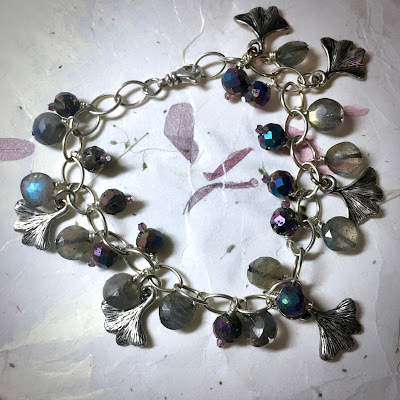 The wire-wrapped dangles really give this bracelet a lot of movement and it makes the facets dance! When I initially set out to make this bracelet, I was just going to focus on the stones. The more I looked at it though, it needed something. I had these great little ginkgo leaf charms and I thought they were just perfect. The ginkgo leaf is a symbol for longevity, endurance, and strength. They are also representative of hope and peace. As we embark on another new calendar year, I think these are all good things to carry with us. 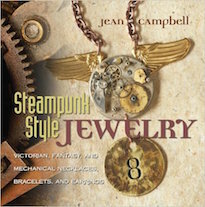 If you're interested in acquiring this bracelet, you can email Allegory Gallery at info@allegorygallery.com. 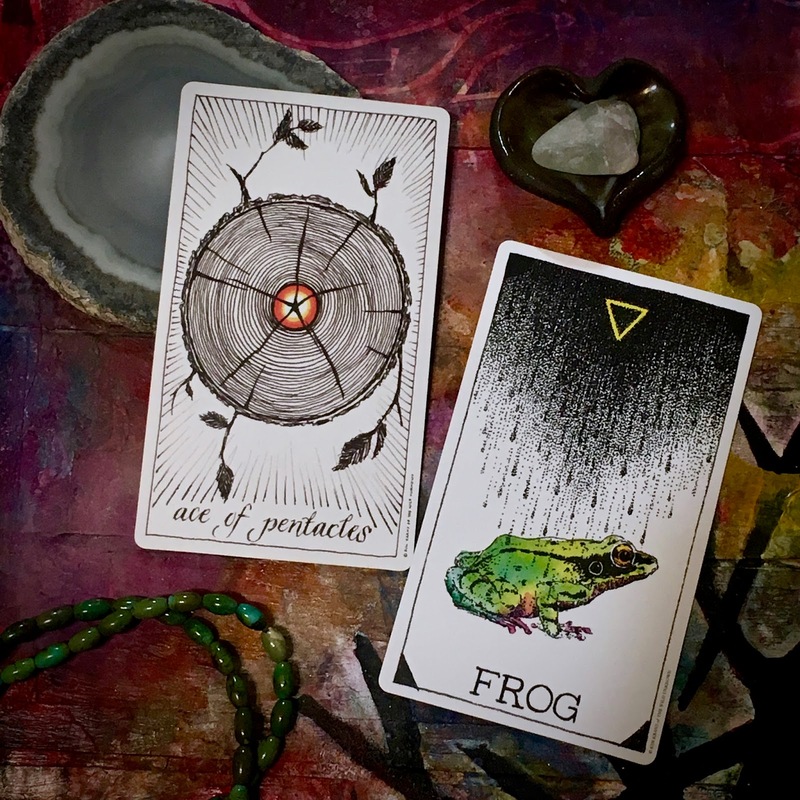 1/2: Ace of Pentacles, The Wild Unknown Tarot. Frog, The Wild Unknown Animal Spirit Deck. A few months ago, I was commissioned to create a charm bracelet for an animal lover. They wanted a menagerie of animal charms to adorn their wrist. I just love charm bracelets! They have such a narrative quality. 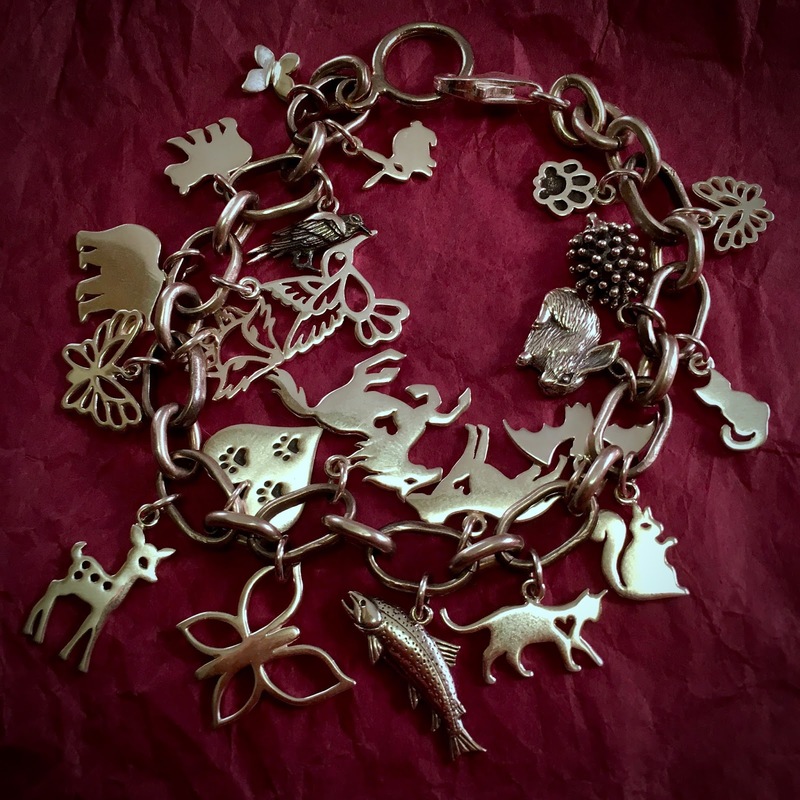 I remember looking through a friend's collection of antiques and estate jewelry once and my friend had this amazing charm bracelet from a young woman's trip across Europe. Each little charm was purchased along the way and included drilled train tokens and foreign currency. 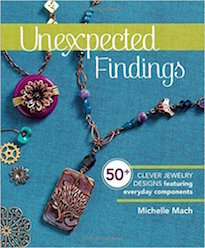 When I looked at the bracelet, it was like I was following along with her on her journey. Charm bracelets have such a wonderful collected feel. I decided to use sterling silver charms from Nina Designs. 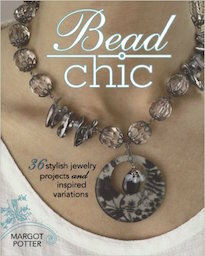 They have a great selection of animal charms that were perfect for this project. 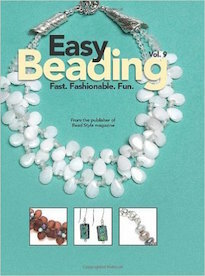 (We carry some of them in the shop and started listing a few of them online.) The base chain that forms the foundation of the bracelet that the charms dangle from was actually two different kinds of sterling silver chain that I've been hoarding for years. I ended up taking apart all the links and reconfiguring them into one chain. The wearer is active, so I used a lobster claw clasp as the closure.